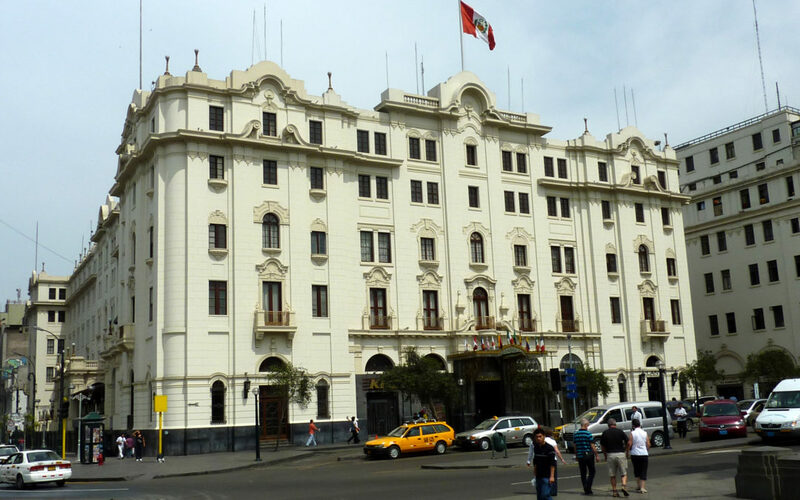 This grand hotel was built in 1924 and was the first custom-built hotel in Lima. It was designed with luxury in mind. It was intended to provide accommodation for heads of state, the rich and the famous. And it did exactly that. But over the years its maintenance has left something to be desired and modern-day reviewers – who fully enjoy their experience there – refer to the hotel as a grande dame needing a touch of TLC. But the grandeur remains. And the hotel has a fantastic history. Over the years it has accommodated guests such as Hollywood legends Ava Gardner, Orson Wells and John Wayne. At the other end of the scale were guests Mick Jagger et al of the Rolling Stones. And there has been a good sprinkling over the years of presidents, politicians, the great and the good. There are even some ghostly stories of spirits who walk the corridors in the dead of night. The Rolling Stones were, as might be expected, thrown out of the hotel because of their bad behaviour (exactly what is not specified unfortunately) and rumour has it that even Ava Gardner found it difficult to behave there, as she was evidently largely under the influence of several glasses of Peru’s famous cocktail, the Pisco Sour, when she had to be carried out of the bar bu John Wayne after she had been dancing on the tables.